Having a fitness habit in NYC can be pricey. So when I hear about free opportunities to experience high-end studios, I like to share the wealth. (Exhibit A, Exhibit B). It’s almost summer time, and who doesn’t want to get outside, get sweaty and pay $0 for a fitness class? 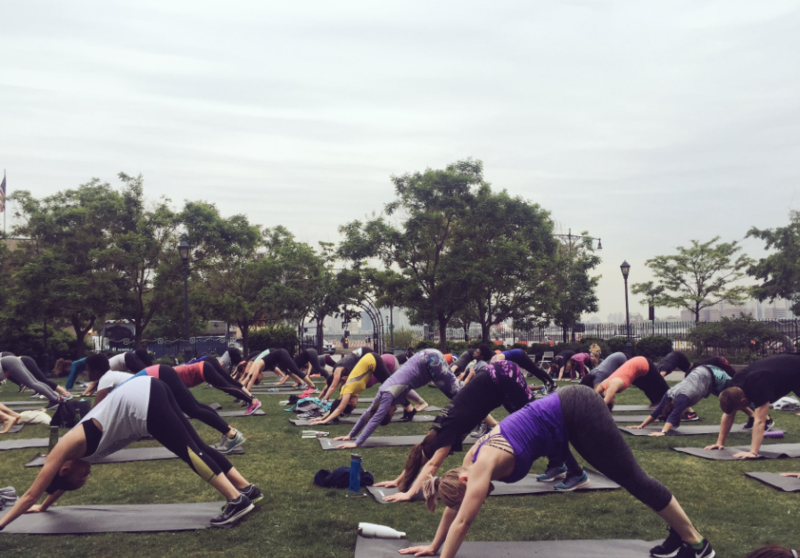 Every Tuesday night from May through August some of the top fitness studios are offering free classes outside in the Meatpacking District through the Sweat Sessions series. a little cold at first, so sporting a turtleneck. On May 23, I went to a class hosted and taught by Bari, a downtown studio that’s been on my list to try. My fitness partner-in-crime Caroline joined, too. 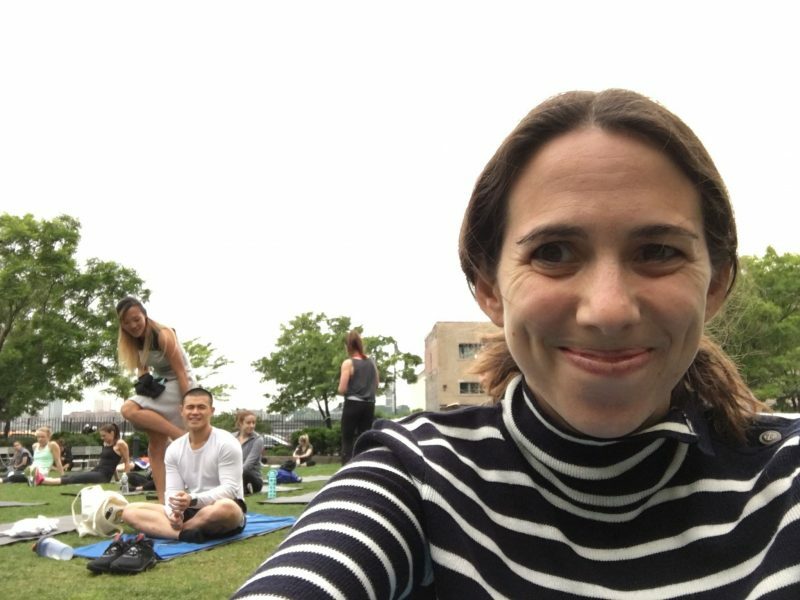 The class met in Hudson River Park’s 14th Street Park, located on 10th Avenue between 14th and 15th street. I believe most of the classes will meet there. Yoga mats were provided. The 45-minute class is typically taught with weights, but I still got a great workout using the modified bodyweight version. Bari felt similar to a barre class, just sans barre. We did lunges, squats and planks galore. I loved looking up at the sky, and not a dull studio ceiling during ab work. There were some kinks with the sound system, but I imagine it will sort it self out soon. It’s a larger-than-normal setting, so don’t expect personalized corrections. But bring a smile, maybe even some sunglasses and I think you’ll have a fabulous time. Plus, let us not forget, it’s free! These classes are going on all summer long but with instructors like Taryn Toomey and studios like Uplift and ModelFit on tap, they will surely fill up soon. Let me know if you check it out. Know of any other free fitness events happening soon? Thanks for such a lovely and informative articles shared with us. 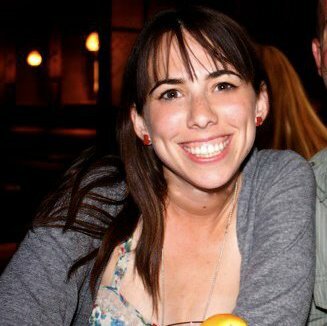 Really amazing post about sweet summer sessions. Thanks Again.